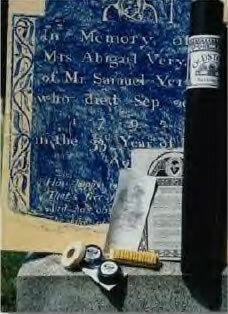 Gravestone Rubbing Kit comes complete with two cupcake-shaped waxes (black and brown), 5 sheets of "Aqaba" brand gravestone rubbing paper (24 x 36 in. 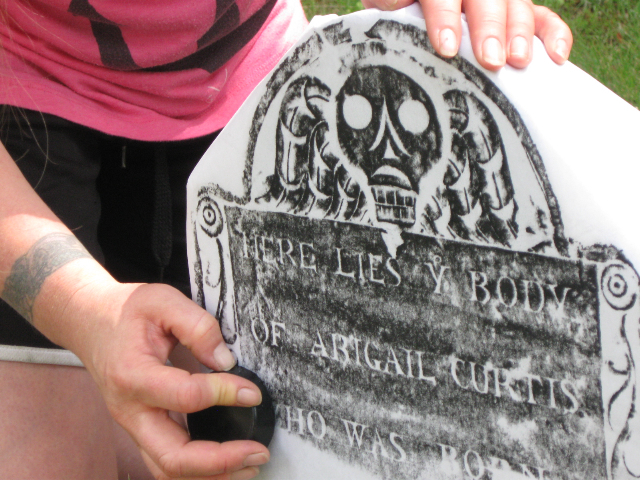 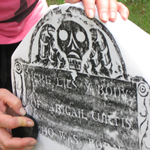 ), a natural bristle brush, special masking tape, instructions, plus information on becoming a member of the Association for Gravestone Studies. 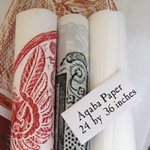 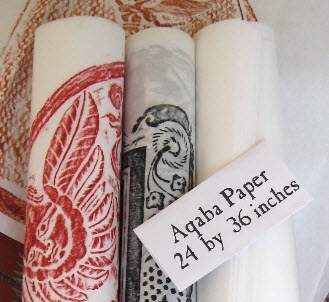 All are carefully packaged in an artfully designed heavy duty black artist's paper tube.